233 Thread Count, 100 Cotton Fabric. 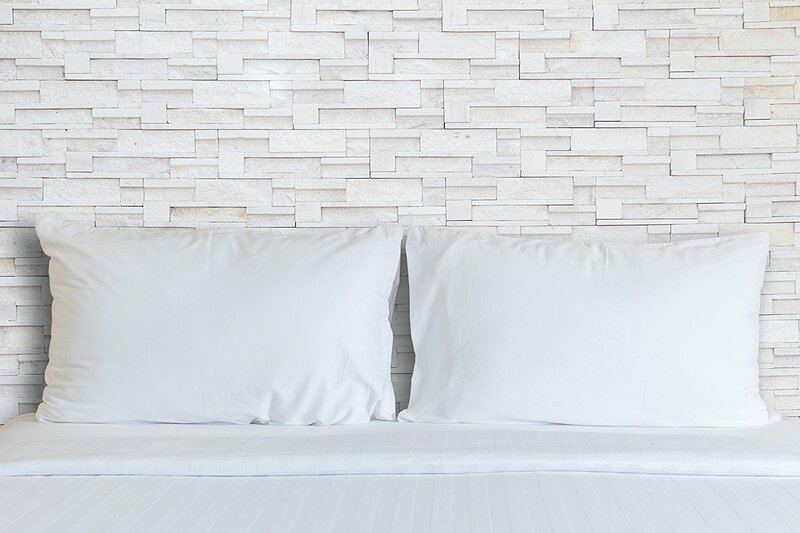 The Double Down Surround Hotel Pillow offers the best of both worlds. 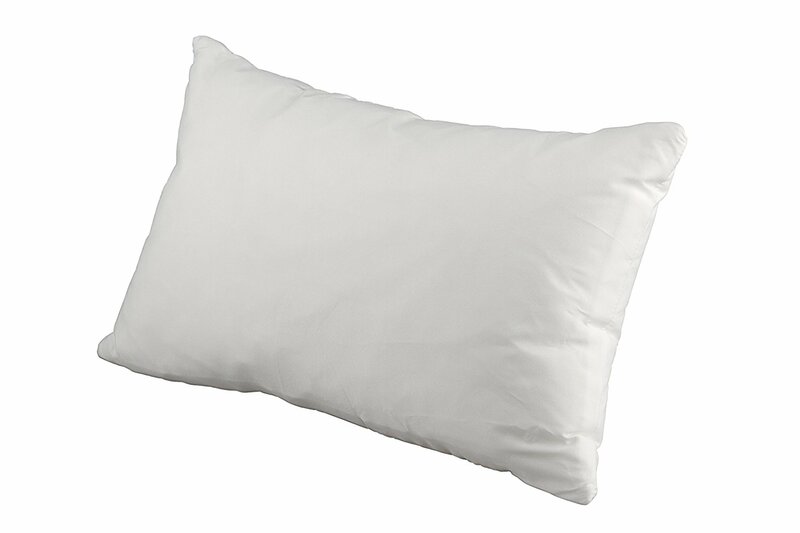 The interior of this unique two-in-one pillow is filled with a resilient 95/5 feather fill, while its exterior is filled with the finest 600 white Down. 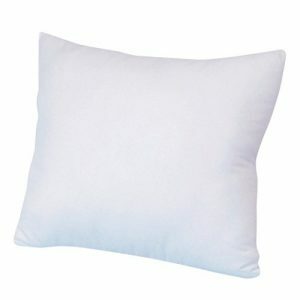 Below are the fine details of the experience you should expect from this unique pillow. It is filled with both ‘Down’ and ‘Feathers”. Down is extremely soft and fluffy plumage, found under the outer feathers of a bird. 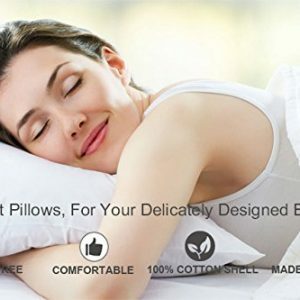 They are thus extremely soft, airy and retain warmth. 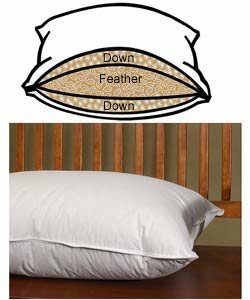 Feathers contained in the pillow are from the outer feathers of the bird. These feathers are harder and not as giving as Down. 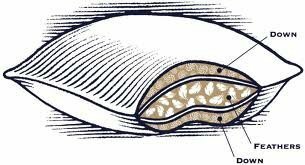 The inner core of the pillow is filled with ‘Feathers’ to provide support for your head and neck to rest upon. 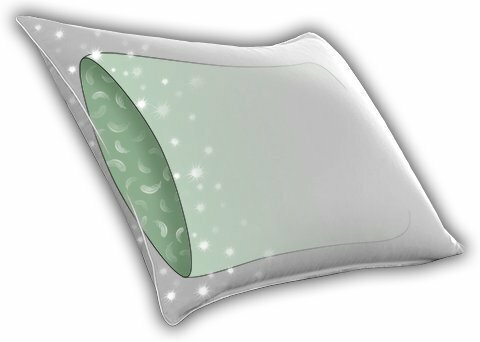 The outer surrounding of the pillow is filled with ‘Down’ to provide you with delicate warmth-retaining Down softness while you rest. The combination of Down and Feathers, provides you the best of both worlds. Some people enjoy their pillows to be soft and pliable, while others like their pillows stiff and very supportive. 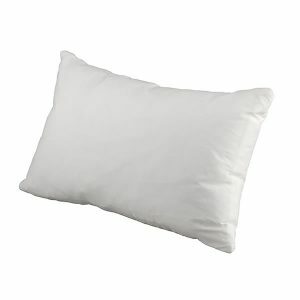 This pillow is somewhere in between. 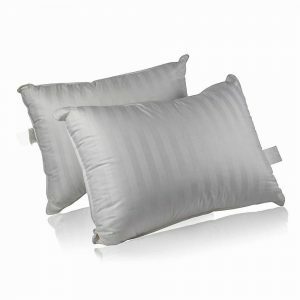 The pillow can be found in many first-class hotels, as it will provide you with an enjoyable and peaceful night’s sleep. *NOTE: down and feather-filled products are packed tightly during shipping. Upon receipt, remove them from their packaging, fluff gently by hand, or can be fluffed in dryer for a faster fluff process.